Clay Aiken – So Much Besides Taxes! 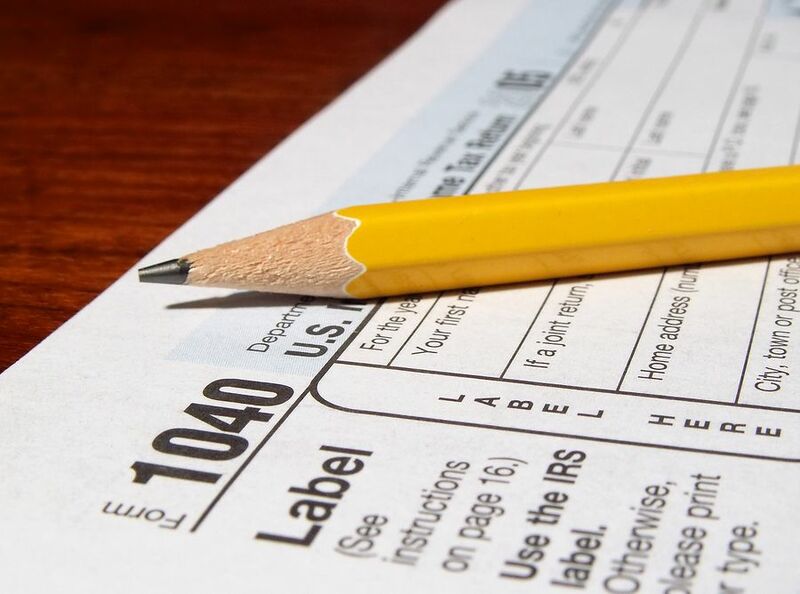 It is April 15th – Most of us look at this date and think taxes! But…this year taxes are due on Tuesday, April 17. The extra break was granted because April 15 is a Sunday this year, and Monday is Emancipation Day, a holiday in Washington D.C. that celebrates the freeing of slaves in the district. BUT…instead of taxes, I would rather think about some of the fun things that Clay Aiken did on April 15th. April 15, 2003 – American Idol presented the Top 7 performers on Billy Joel Night. Each singer was required to sing a song made famous by Billy Joel. 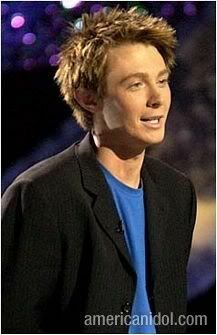 Clay Aiken was the last performer on this night and the judges remarks from this performance have been quoted many times. Most Clay fans will remember “I just can’t wait till you let loose and dance a little more!” Then Clay’s answer… baby-steps!! Tell Her About It was a wonderful choice for Clay to make. Starting out as a ballad and then, WOW, he changed it to up-tempo. It was the night that Clay changed his whole style and delivery. He never missed a step. When was the last time you watch Clay sing this on American Idol? Enjoy!! April 15, 2004 – Clay was in Kansas City, MO. Clay and Diane Bubel were at part of Hallmark’s Kaleidoscope. Clay and Diane participated in a private art session. The program integrated children with special needs with their typical peers. They paired up to produce art projects that were based on the theme, How Art Defines Me. From the pictures, it looks like Clay had as much fun as the kids! April 15, 2004 – After a day of working with the kids on their art projects, Clay performed at the Kember Arena as part of the Independent Tour. This performance was special because it was almost the end of the successful tour for Clay and Kelly Clarkson. This performance produced some fun pictures. April 15, 2005 – This was National Youth Service Day. Clay was in Hollywood, Florida and he joined a group of Best Buddies kids to plant trees in the area. National Youth Service Day is a public awareness and education campaign that highlights the amazing contributions that young people make to their communities 365 days a year. As the largest service event in the world, it mobilizes millions of young people to address the needs of their communities, and educates the public, the media, and policymakers about the year-round contributions of young people as community leaders. 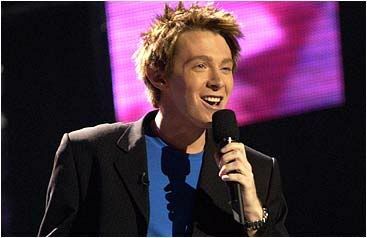 April 15, 2012 – Clay Aiken will be seen on NBC as a contestant on the popular show, Celebrity Apprentice. The show tonight is episode 9 and is titled Puppets Up. The show should be filled with lots of fun, laughs, tears, and drama. This show is NEVER boring! Don’t forget to check in on Monday. The reviews, articles and pictures of Celebrity Apprentice will be posted throughout the day as they become available. These photos are priceless, Clay is soooo cute especially in the video with Michael Sandecki, I never get tired of hearing Clay sing! Thanks for all your posts musicfan, you make my day. What a slew of information, memories, and photos.. Thanks so much for all you do every day! I don't recall ever seeing 2 of those photos so thanks for posting them. I saw a preview of tonites CApp and it looks like we're in for a lot of fun. Thanks for all the pictures and the Video. I loved Clay singing "Tell Her About It." I think Capp will be hilarious tonight, especially the Improv Puppets Show. You just made my day! Thanks for all the photos and info. Can hardly wait for CApp tonight. Cool pics and great memories. Lots of research went into this blog, musicfan. Thanks for all the time you spend bringing these memories to us. I loved all the pictures, videos and information regarding things that Clay has done on April 15. I especially remember the concert at Kemper Arenea. I was there and it was such a great concert. Looking forward to TCA tonight, looks like great fun. I am getting excited too. I think the puppets might be the best episode yet! Now, this is fun!! WOW…you must have an LOTS of Clay info stored somewhere!! I love it! This fun blog was perfect as we wait for tonight's episode of Celebrity Apprentice. THANK YOU, all these Clay pix are so fabulous! Such great memories, and a couple I hadn't even seen, tho I was a fan then too… like the wig-mug w/love you sign and that great Invisible jacket pull… I just LOVE that man *sigh*!!!! Error: Error validating access token: Session has expired on Tuesday, 21-Aug-18 16:13:01 PDT. The current time is Thursday, 18-Apr-19 05:31:39 PDT.